Kelvin Thompson was born in Northern Manitoba in 1958 and is of Ojibway decent. Kelvin was adopted into the Haisla Nation after studying under Barry and Derek Wilson at the Vancouver Indian Centre in 1979. While studying at the Indian Centre, Kelvin carved a totem pole with Henry Robertson, another Haisla master carver. Kelvin is always trying new design techniques, from oxidizing to intricate cut-out work. In the recent past, Kelvin has taught many artists to carve and is passionate about sharing his skills and knowledge. 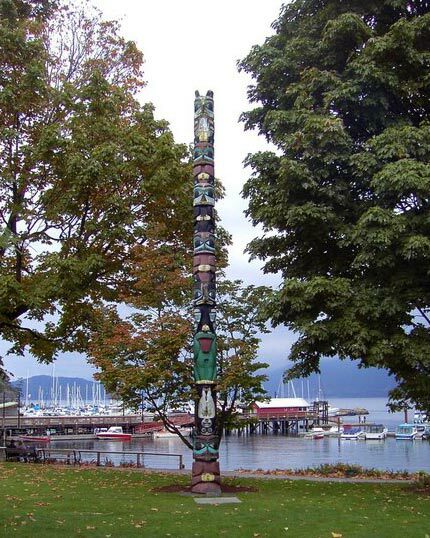 From September 2007 to February 2008, Kelvin aided Kwakwaka’wakw artist Dan Wallace in teaching the first annual northwest coast Jewellery program, which was held at Vancouver’s Native Education College.